Brain imaging may distinguish causes of memory decline. Alzheimer’s disease is the much-feared, most common cause of memory problems in the elderly. Sometimes, however, memory problems are caused by something else entirely, including conditions that can be treated if diagnosed, according to doctors at UCLA. 1) Hypertension. High blood pressure can cause memory loss and a slowdown in information processing, resulting in behavior that may resemble Alzheimer’s disease. Symptoms may improve with effective treatment of hypertension, including changes in lifestyle and medications. 2) Substance abuse. Heavy alcohol use can cause memory loss, which can be mistaken for Alzheimer’s disease. Cognition often improves when the person stops using alcohol. 3) Psychiatric disorders. Bipolar disorder and depression, for example, can cause memory loss. Adjustment to the patient’s medications and an increase in physical activity may lessen these symptoms. In a recent, unpublished study of 22 patients at UCLA’s Cognitive Health Clinic, participants had MRI scans, and scientists used a software program designed to measure the volume of multiple brain regions and computerized neuropsychological tests to evaluate the participants’ brains. 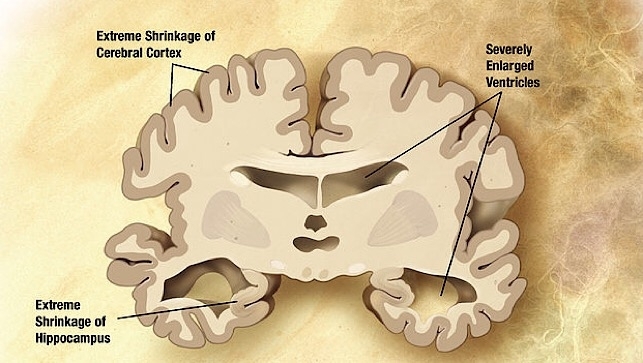 Only five of the people with memory loss showed brain shrinkage patterns characteristic of Alzheimer’s disease. The remaining cases were a combination of causes from vascular disease, depression, head trauma and substance abuse.